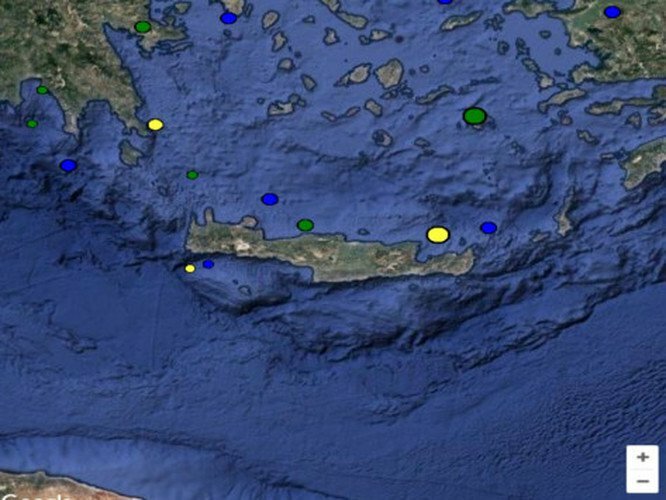 An earthquake with a magnitude of 4.5 points on the Richter scale shook Crete in the early morning on Saturday, according to the Geodynamic Institute of the Athens National Observatory. The tremors occurred at 1:17 am and were particularly felt in the island’s capital Heraklion, Agios Nikolaos and the northeast coast of Crete. The earthquake epicenter was located about 34 km north-northwest of Sitia and the focal depth is estimated at 10 km.